For meeting a large number of market requirements of industries for Silica Ramming Mixes, we started our company. We are THE LARGEST manufacturer, supplier and exporter, making these available to clients in several grades. The offered product is known for its high purity and high resistance against abrasion & spalling. Our Commercial Silica Ramming Mass is known for its acidic nature and having melting point 3274 F. Due to purity and free from external contents, the products we offer find their use in the lining of induction furnaces. 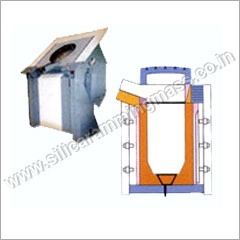 Further, the personnel of our firm thoroughly understand the fact that quality of silica ramming mass is depend upon the heating performance of furnace, hence they carry out their tasks in the same way to offer the best.